With limited time, I decided to check out Centro Manila by Rezal Park. I was not a big fan as I felt like the only tourist. 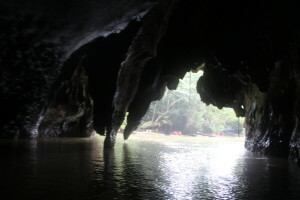 I didn’t see one other western tourist. I got lots of weird looks so decided it was best to eat at the hotel at place called my kitchen. The food at this place was very good. Rezal park was nothing amazing. Note: I later found out the best area to hang out as a tourist is in Makati in Manila. This neighborhood has a very different feeling. Tour A was amazing. 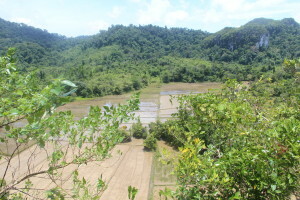 The highlight for me was the small lagoon. 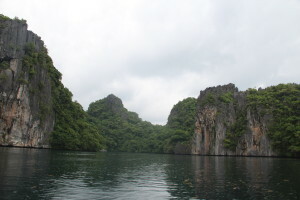 The other stops were nice, but the rocks in the small lagoon were amazing. I was glad that I got in there early before the Asian invasion, who all wore bright orange life vests. The unfortunate part of tour is that we did it mostly in rain. However, it really didn’t matter as we were getting wet from swimming. I hung out mostly with the Afghanistan brothers. Tour C was also amazing. We started by going to Hidden Beach, which was beautiful. As we were leaving, it started to rain hard. Luckily, we got a head of the storm and didn’t see any rain for rest of trip. 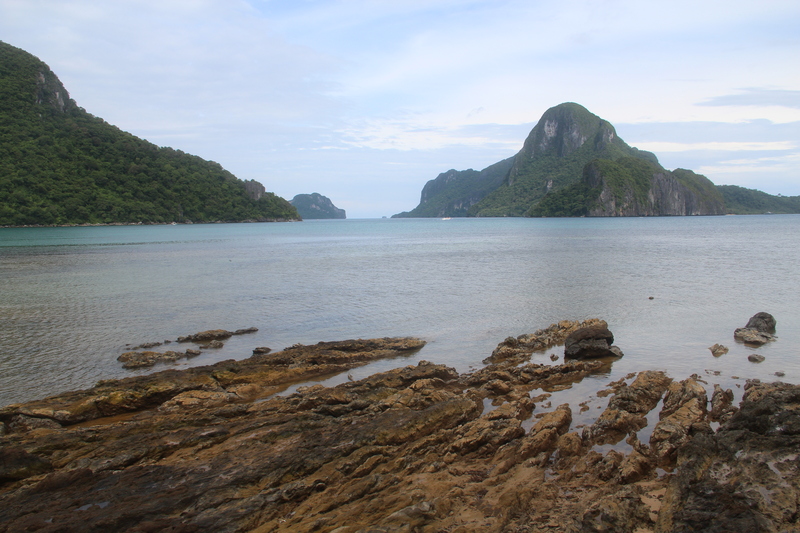 We went to one overlook that must have been the best view in all of El Nido. After lunch, we went snorkeling in the hunt of turtles. We saw 3 turtles including one that was swimming. We arrived back and same as yesterday the sky’s opened up around 5. Unlike yesterday, it didn’t stop. I met up with Germans and then we waited for a Spanish couple that they met in their days activities. While we missed them for dinner, we met up with them later for drinks. They were super cool. Walked on beach and took 10:30 shuttle back to Puerta Princesa. It was time to meet up with the guys. 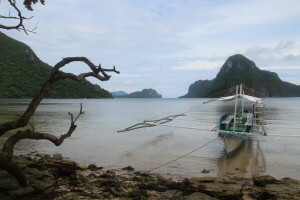 On the shuttle back to Puerta Princesa, I met an Australian man who was married to a Filipino. 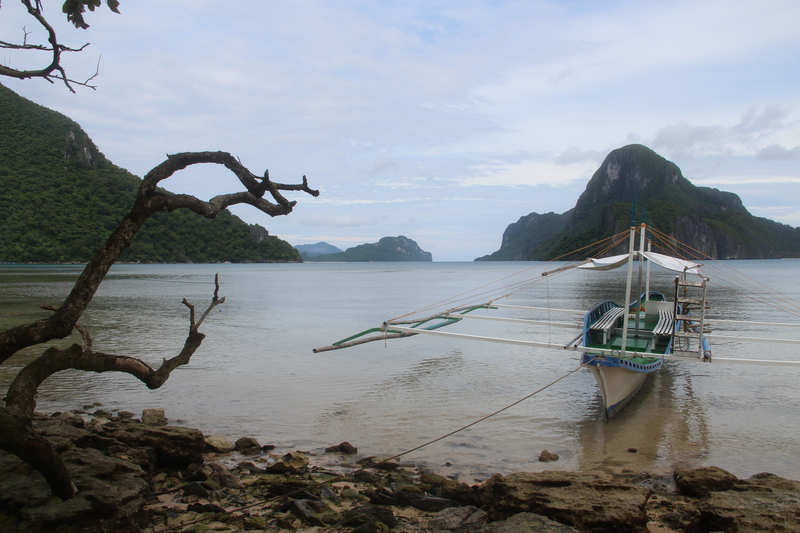 We exchanged in conversation for most of the ride to Puerta Princesa. It just happened to turn out that we were in the same hotel. With the guys being late, we ended up grabbing dinner together. Tour A and C are definite must sees with Tour C being the best. 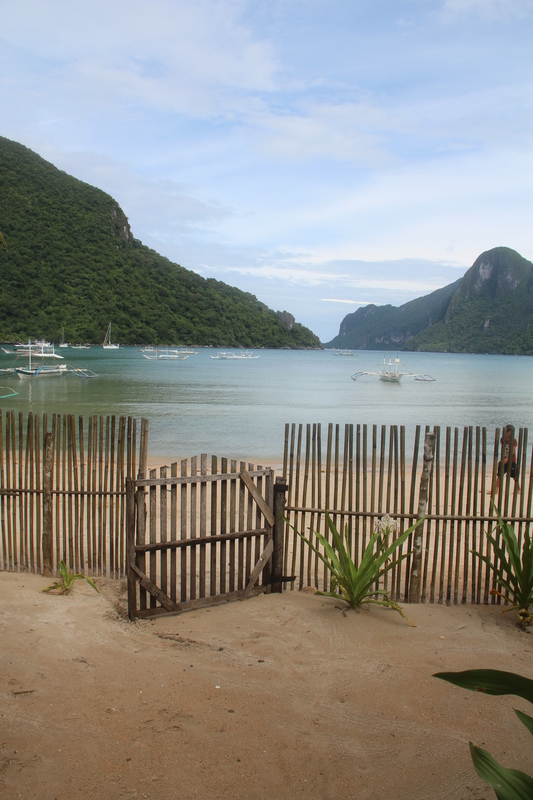 Lots of cheap places on the beach. 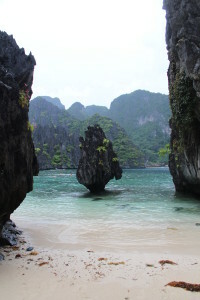 It is probably best to just get there and book a hotel unless you are going in peak season. I could have easily gotten a room for under $10 per night as opposed to paying $50+ per night. 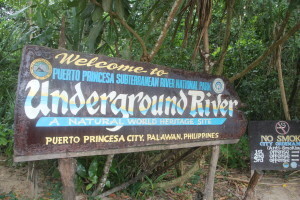 On the 6th day, the guys and I went to the Underground River. 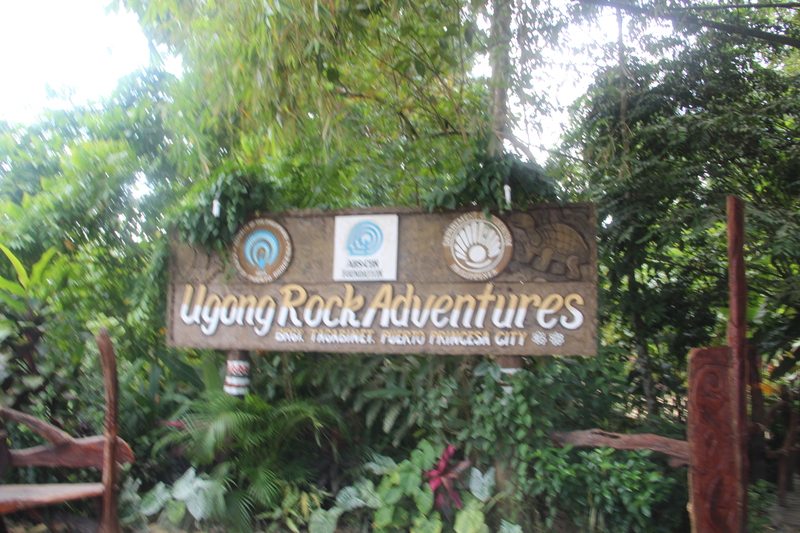 We got picked up by our guide at the hotel and were off to Sabang to see the Underground River. The ride took about 2 hours to get to the boat launch. The Underground River is amazing at 8 km long with you going only 1.5 km into the cave. If you want to hold a spot light, you will need to be in the front of the boat. 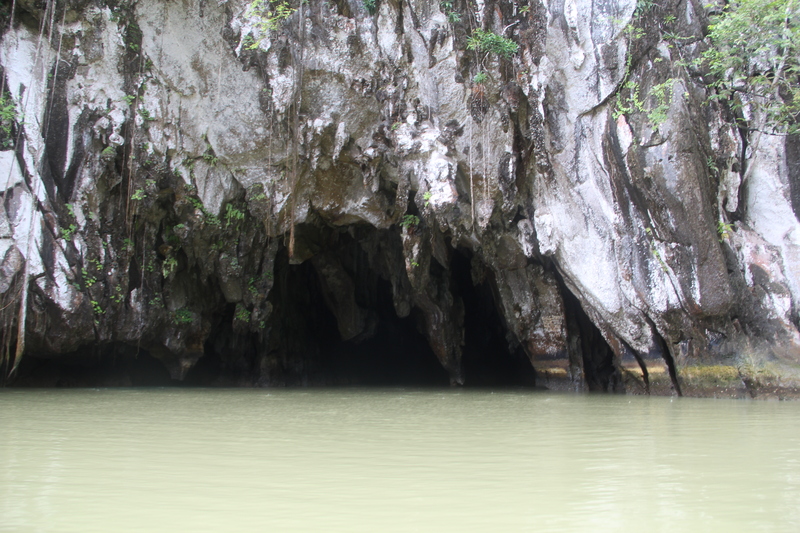 We saw tons of bats and the cave was very impressive. After we finished the cave ride, we had lunch. At lunch, most of the guys decided to try worms. It was not my cup of tea. We then proceeded to a cave where we could hike to the top and zipline back to the base for $20. We initially didn’t have high hopes for this stop, but it turned out to be pretty amazing. Two friends and myself decidd ed to go down the Zipline in the Superman position. It was lots of fun, and we ended up getting back to the hotel for a couple of hours by the pool. 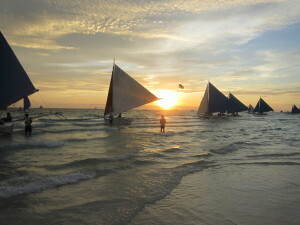 We now had the pleasure of making to Boracay. 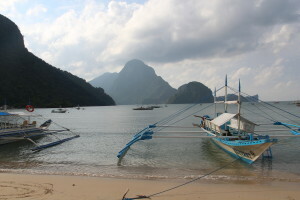 We had to connect through Manila to get to Boracay. You then have a couple hour shuttle to reach the boat launch. 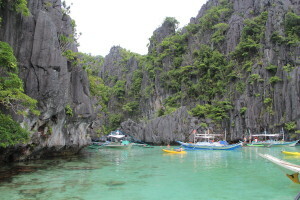 It is then a 15 minute boat ride to Boracay. 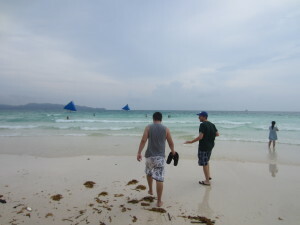 Since we arrived late at night, we had to hire private operator to take us to Boracay at a cost of $60 per person. The same trip on the way back only cost $20. Boracay is a beautiful island. 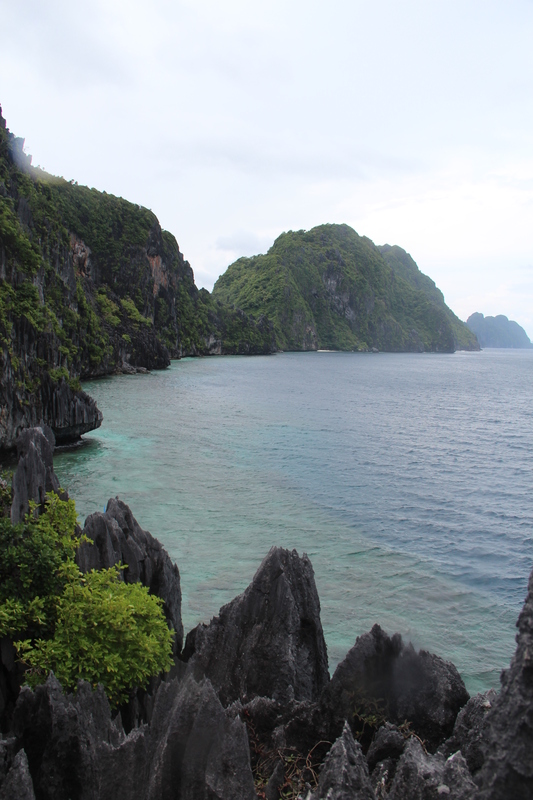 The beaches are amazing, but it definitely a lot more touristy than the other places that we visited. 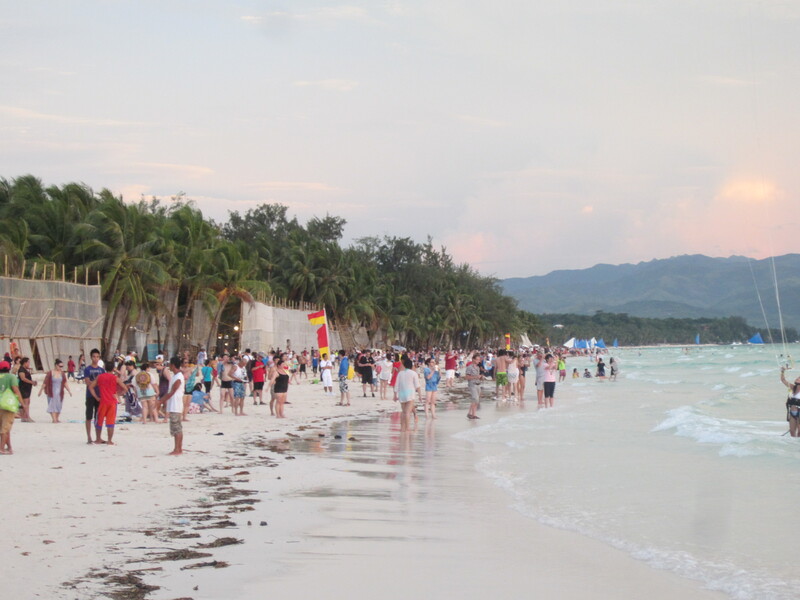 While Boracay is a party spot, the clubs were never that full. 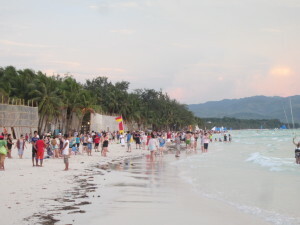 No one also mentioned that 80% of the tourists are either Korean or Japanese. 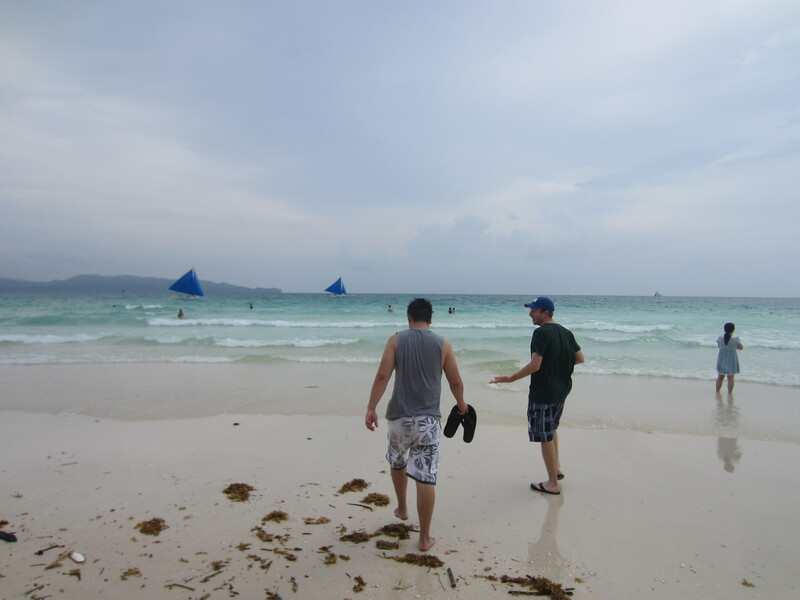 We ended up staying at the Boracay Regency, which was an amazing hotel that only cost $100 per night. We had lots of drinks and a great time. We also decided to rent jet skis for an hour at the cost of only $40 or $50, which an extremely good deal. Jet sking was amazing, and I will definitely do it again.